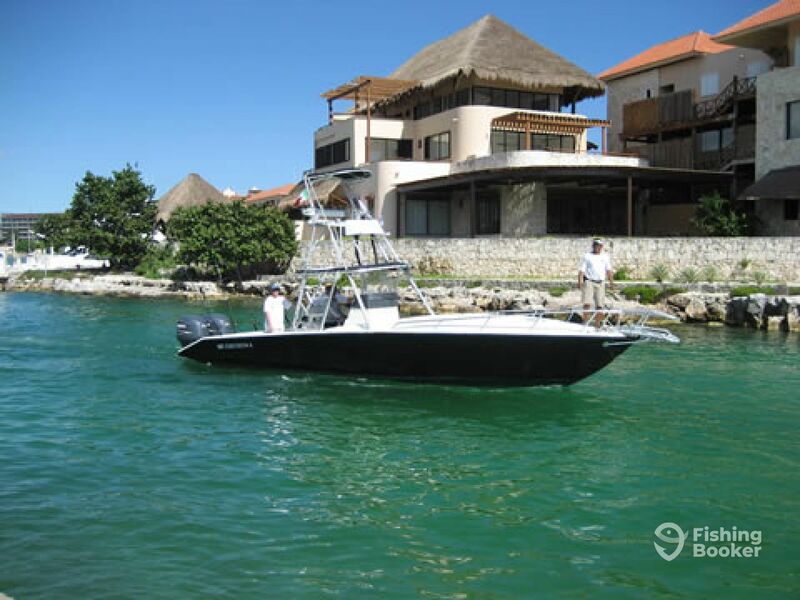 The famous Maya Riviera offers a fishing experience that you won’t soon forget. Whether it’s buzzing down a shoreline, trolling for Mahi Mahi, Blue Marlin, Wahoo, and Sailfish, or bottom fishing for Snapper and Grouper, there is a trip for you. 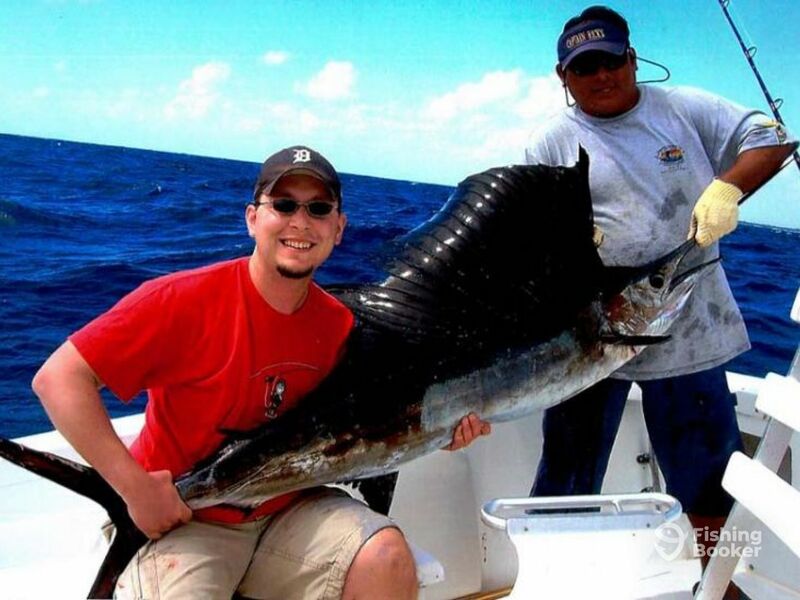 Give Captain Rick’s Sportfishing Center a try and let them put you on fish. The Intimidator is one of their fishing machines that can accommodate up to 6 anglers. 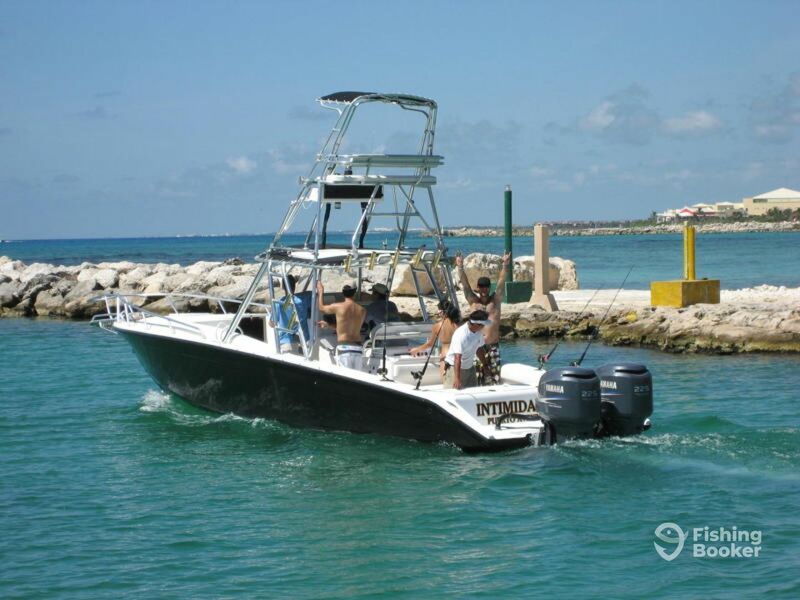 She comes powered by twin 225 HP Yamaha engines and outfitted with everything you need for a productive day of fishing. She also features a restroom, which is a much-needed thing when you are on the water. Sit back, relax, and sip your favorite drink – a fun beginning to a hot fishing day. On board the Intimidator, you will find quality rods, reels, and tackle for you to use, as well as a cooler full of ice, bottled water, and soft drinks. If you want to purchase beer and snacks, you will be able to get them at the store near the marina. Half-day and full-day trips are available, as well as 6-hour adventures. 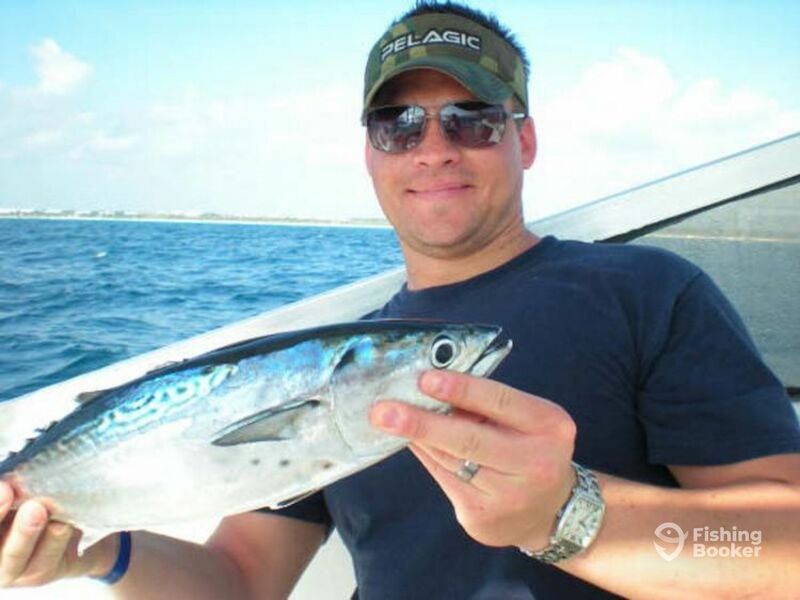 The crew of Captain Rick’s Sportfishing Center will work hard to put you on top of the hottest bite. It’s all about creating memories and enjoying a day on the water fish your family and friends! 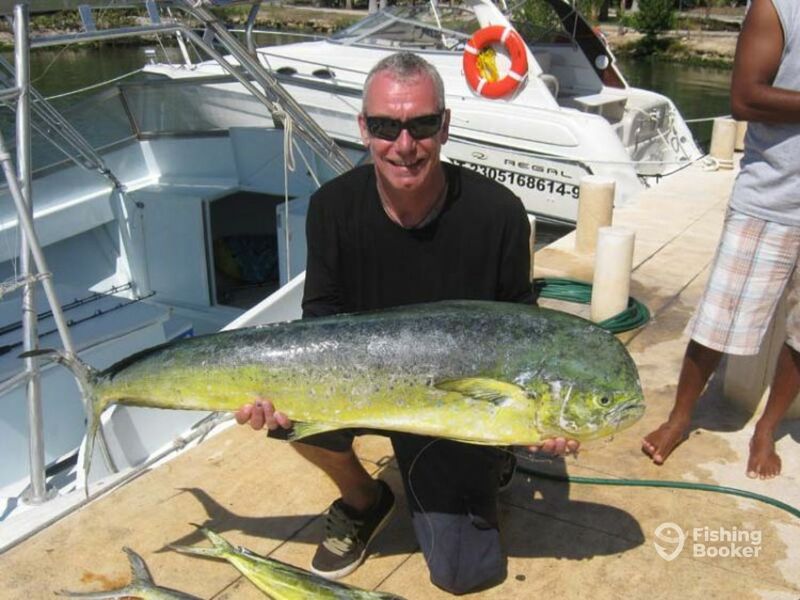 Lunch is also included in this trip, as well as fishing gear, tackle, bait, water, ice, and soft drinks. 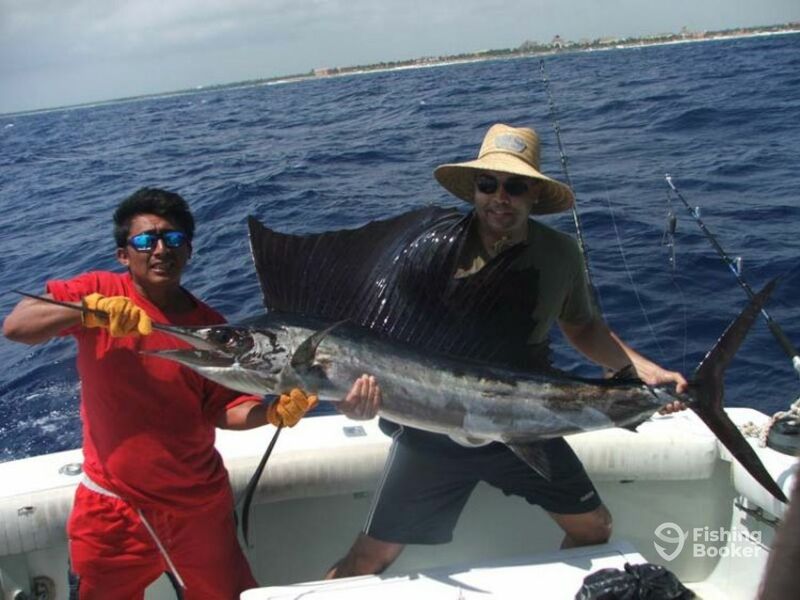 You will be fishing the offshore waters for Billfish, Wahoo, Mahi Mahi, and more. This six-hour trip gives you more time to check more spots and try other techniques. All fishing tackle will be provided, as well as ice, bottled water, soft drinks, and a friendly atmosphere! 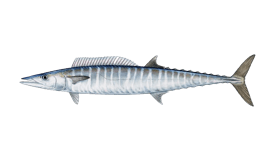 There is always something in season and biting, including King Mackerel, Barracuda, Sailfish, and more! 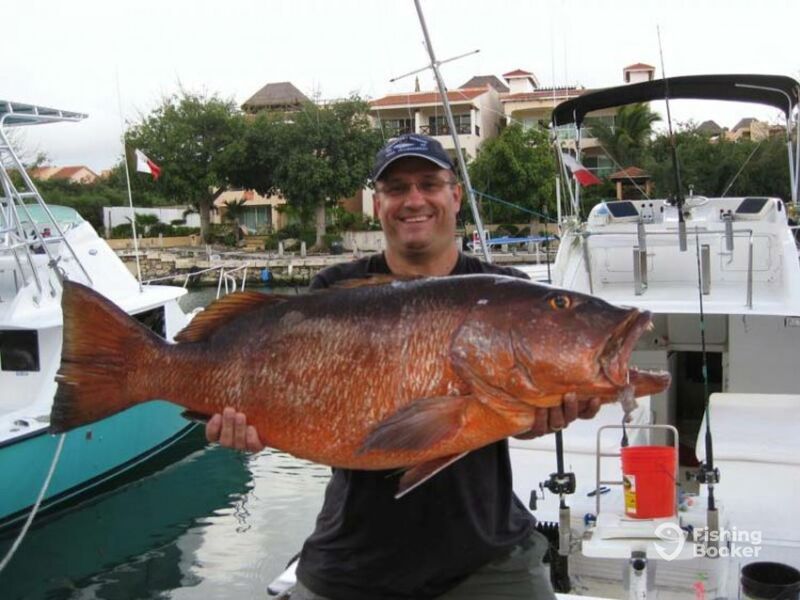 On this afternoon trip, you will be trolling the beautiful Caribbean for Marlin, Sailfish, and other species or bottom fishing for Snapper and Grouper. 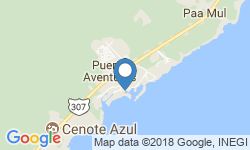 Marlin (Saltwater fishing) построена в 1993. Мотор – 2 225 л.с. Yamaha. My husband had one bad thing to say about the trip. Other than that, it was good. My husband did catch a sail fish. He hooked a marlin too but the line broke. He says that of course that can always happen but, if you’re fishing for huge fish… why would they be using 50 pound line?! But like I said, other than that, they really had a great time. My husband had one bad thing to say about the trip. Other than that, it was good. My husband did catch a sail fish. He hooked a marlin too but the line broke. He says that of course that can always happen but, if you’re fishing for huge fish… why would they be using 50 pound line?! But like I said, other than that, they really had a great time.